1. What Can I do to save money on legal fees? 2. What makes Steckbauer Law SC the right law firm for me? 3. Can I do pro se, or be unrepresented? 4. How much will my divorce cost? 5. What does Steckbauer Law charge? First, gather every piece of paper that may be remotely related to your case;We would rather sort through a pile than spend money on copy searches. Second, go to the FORMS tab of this website. Under the type of case you have, select all of the forms listed. The more these are completed the less time we will have to spend searching for documents. Third, have a good confidential email address that you can access regularly and easily. This will save mailing costs and provide for faster and better communication. Fourth, feel free to bring a notebook of questions to meetings. This will make the meeting more efficient and minimize needs for more meetings. Fifth, have reasonable expectations. If your case requires litigation, (a court decision), reasonable expectations can help resolve things sooner than later and therefore save money. Back to Top. 2. 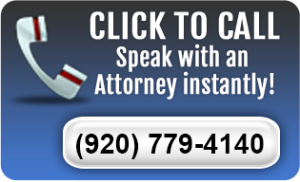 What makes Steckbauer Law the right law office for me? First, we may not be the right firm for you. Like any other interpersonal relationship, some people do not click. We prefer to never be hired until we meet face to face, regardless of how much we may know about each other before. Second, what makes us often the right choice is that we are an office of regular people;We are not going to impress you with marble counters or hushed tones; We aim to be non-pretentious, except when we use words like pretentious; Back to top. 3. Why hire a lawyer if I can use pro se or file the papers on my own? Not every legal transaction or dealings need a lawyer. A 22 year old couple with no kids can do pro se, normally. Small claims transactions are often best handled without a lawyer, because of the cost as well as the avoiding of the intimidation factor that lawyers sometime unnecessarily add. However, many legal matters have many interrelated componets that are simply unknown to lay persons. For instance, a marriage that is only a couple years in length could have componets of maintenance, tax law, and property division that have to be addressed. If unaddressed, or missed, they can never be re-visited. A lawyer can also process even simple paperwork more efficiently. Pro se check the box forms found on line appear simple on their face, but can be very difficult to fill out correctly. We use those forms and have our own. We can get your matter done sooner than the pro se services because we know the import of those forms. Every lawyer can tell you horror stories about pro se cases. The missed pension assets or the wife who signed off a pension because she thought he worked there, so it must be his pension. Many lawyers will also tell you that pro se cases have been the best thing for business. We are hired every week to fix cases that people tried to do themselves. Unfortunately those often cost more and end up with not as pleasant of results. Back to top. 4. What will my divorce cost?The filing fee will be just under $200 and service fees are about $50.00. Those are the guaranteed costs. The rest of the cost of a divorce is up to you and your soon to be former spouse. If you fight over very little, and the issues are not complex, you can anticipate a cost of around $2000-3000. Occassionally, we can come in less than that. The more you resolve or are open to resolving, the cheaper your divorce. If you fight over children, property division and maintenance, the sky is the limit. A safe estimate is for a divorce with modest disputed issues, would be between $3,500 and $5,000. A very complex divorce with high conflict can break the bank. Back to top. 5. What does Steckbauer Law charge? Our office charges a fee that we think is reasonable and is more often than not less than other offices. This is because we have enough work we do not need to get rich on your file and because we know that legal fees are rarely a dream obligation. So, we try to keep costs down and not seek unnecessary discovery expenses like some law firms do. We do not have to pay for marble, so we do not have to pass that cost on. Our rates, depending on the matter and complexity range from $180-200 per hour. Our guardian ad litem rates are lower because we are protected from bankruptcy, and there is a community service component to that kind of work. We also do lots of matters on a flat fee basis so the client can make an educated economic cost/benefit decision. Contact us to discuss a fee structure that works for you. In all situations we comply with the Wisconsin Supreme Court trust rules and ethics rules for reasonable fees. It is indeed the rare client of Steckbauer Law that complains about fees, because they know we are reasonable and respectful of their situationsBack to Top.